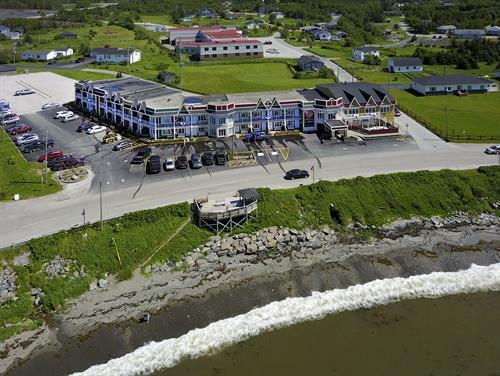 Place yourself closer to nature at the Ocean View Hotel: Gros Morne National Park's premiere accommodations. 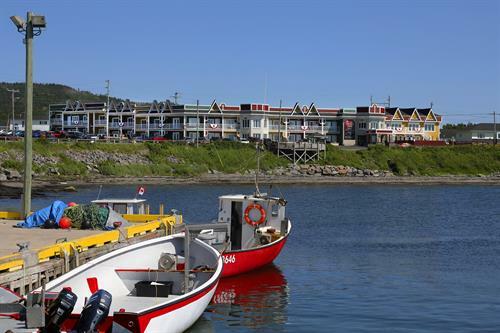 Nestled in the small town charm of Rocky Harbour, the Ocean View Hotel is located a stone's throw from our Park's many cultural, adventure and outdoor exploits. 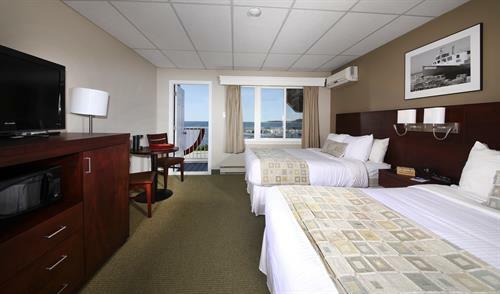 Offering waterfront rooms with a spectacular view, the Ocean View Hotel boasts a dining and nightlife experience like no other in the province. Feast on fresh seafood in our dining room, before an evening spent with the traditional music of Anchors Aweigh, our signature house band. 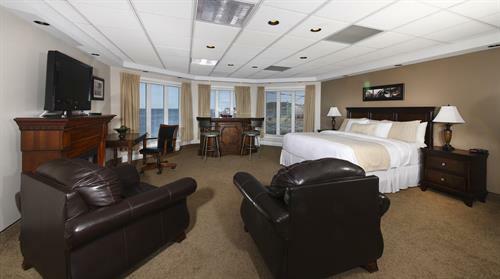 So surround yourself with natural beauty in Gros Morne's flagship accommodations and book with us today. Modern Hotel rooms with great views. Casual upscale dining (reservations required). Anchor Pub features the Anchors Aweigh Band.